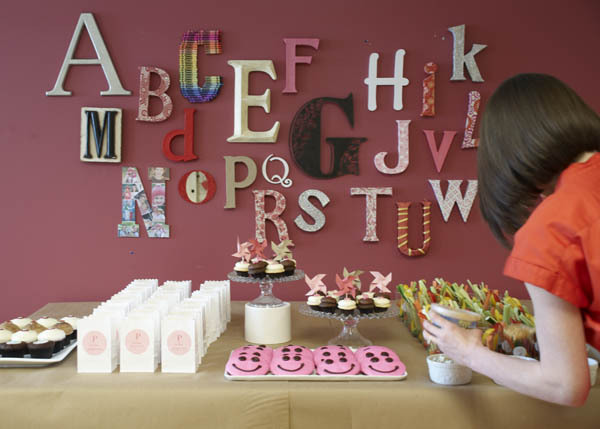 As the host of the baby shower, finding or making your decorations will likely be a big task. It’s wise to start planning this piece of your even as early as possible. Especially, if you plan to make some or all of the decorations. Just because you’re the hosting, it doesn’t mean you need to drop a bundle to have a beautifully decorated event for your loved one’s baby shower. Before filling with air or helium, insert a funnel into the end of the balloon, and add about, 1 tsp. of glitter or tissue confetti. 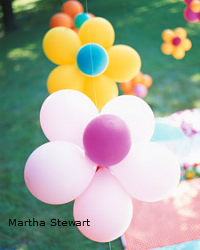 In place of, ribbon or sting; tie thin strips of tulle to each balloon (gives balloons an, elegant look). When you want a little help making your decorations, babyshowerstuff.com, and papersource.com have everything you need. A single balloon or small bouquet of balloons is simple enough to do. Tie them to a cute and practical weight, and use this as your center piece for each table. The weights are easy, here’s how to make them: Wrap little socks, pacifiers, cotton hand-mitts, or other little baby items in wash clothes and tie with a decorative ribbon. 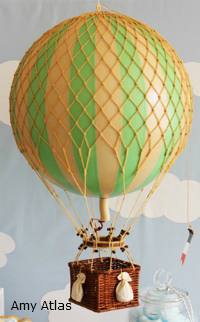 There are several ways to craft an hot air balloon. To make one like like the Amy Atlas design you see here, purchase a punching balloon and light netting from a sporting-goods store. You can find great decorating inspiration by thinking about what a new baby really needs. Check out the newborn hub checklist, or a complete list of the baby basics and essentials. 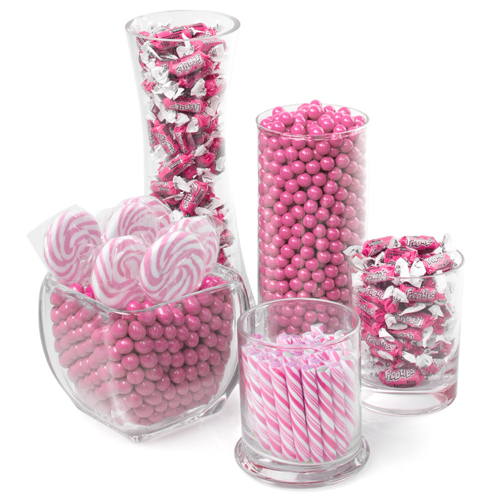 Decorate with edible cupcakes, candle cupcakes, cupcake circles and more. 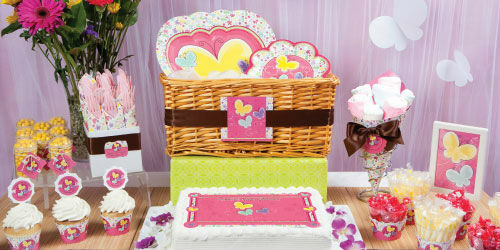 There is no need to preheat the oven, if you want to make these cute cakes for your baby shower. You’ll have a decoration and, a unique baby shower gift, all in one! Make them with rolled baby wash clothes, and baby socks embellished with a pretty white flower.- The shell is simply a silicone baking liner. Etsy is a great place to shop for more hand made ideas like this one. This collaboration of free baby shower decoration ideas is packed with inspiration. We’ve logged over 6 months of research and market votes, to bring you this information. The best ideas have been sorted and now we are pleased to present you with the Best of the Best! If you want to jump on any of the sites you see- just use the Google search bar provided in the middle of the page. Here’s another, decoration and gift combo. The bottle is actually a large, piggy bank. 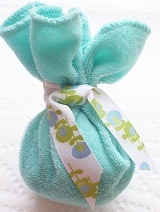 The inside is filled with baby wash clothes, baby shampoo, and baby body lotion. 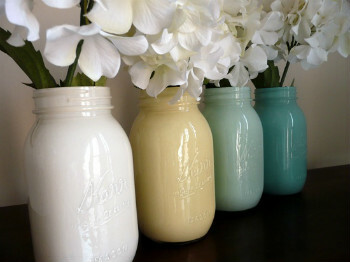 The bottle is perfect to use for, a centerpiece, gift table, or table decor. 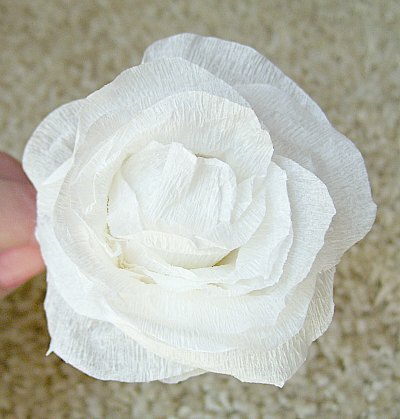 Make tissue paper flowers. We have two simple ways to show you how (you won’t believe how easy it is)! Don’t forget the extra touches you can add to make the day amazing for your guest of honor. Decorate a comfortable chair, and make mommy feel like she’s a princess on a throne. Use streamers, ribbon, flowing fabrics, pretty throw pillows and baby decor to make a festive seat. Decorate mom-to-be with a handmade corsage. 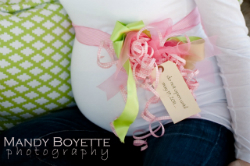 I love this idea from Mandy Boyette Photography. Our friends at Beau-Coup, have great, free ideas and videos to help you out with baby shower corsages.